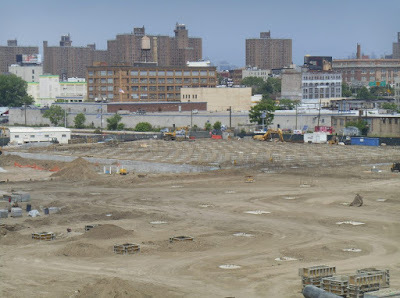 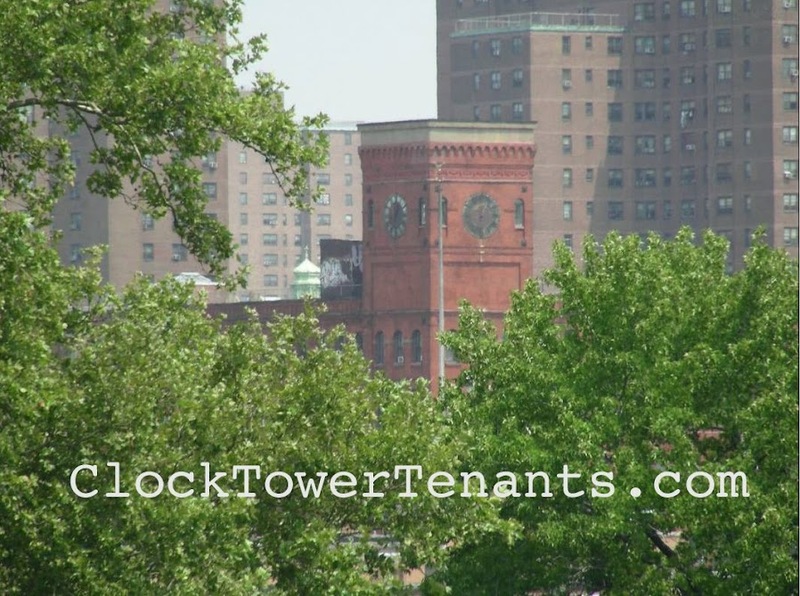 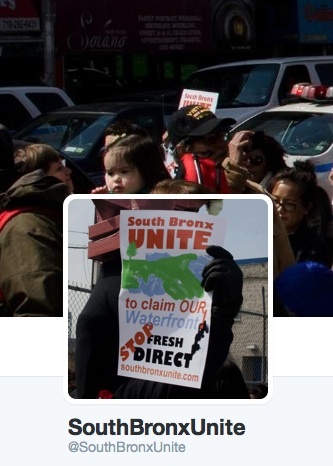 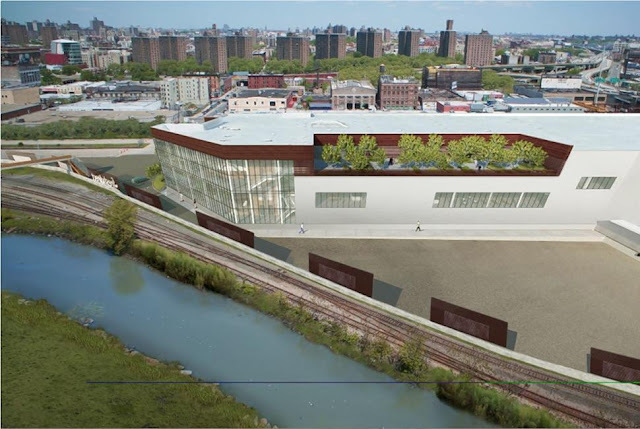 Despite years of protest and legal actions, SouthBronxUnite has failed to stop Fresh Direct’s relocation plans to the Harlem River Yards. 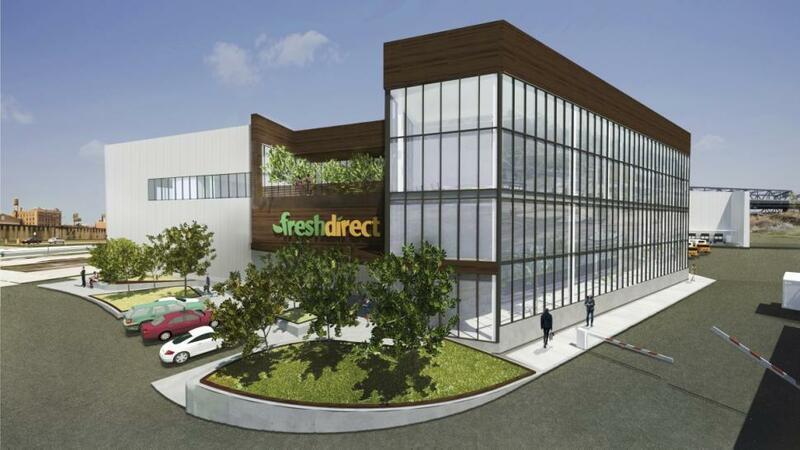 Their most recent last ditch effort was based on yet another lawsuit, but the judge threw out their case and Fresh Direct moved ahead back in December. 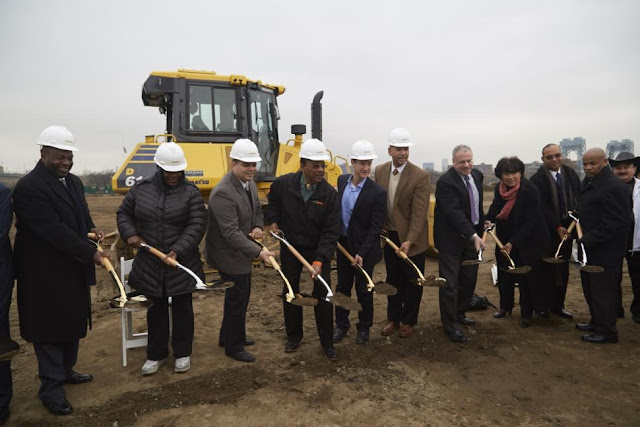 That’s ceo Jason Ackerman in the center in the blue shirt, and BxBoroPrez Ruben Diaz Jr. in the brown jacket next to him. 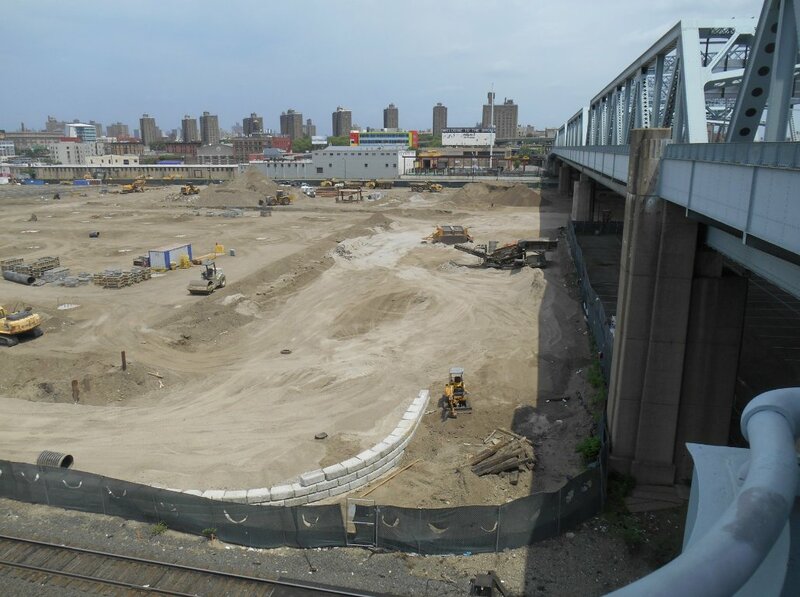 Now foundation work is underway. Because their new 11 ½ acre facility (500,000 sq ft.) is just up Bruckner a few blocks from our home. The ClockTower is at the red arrow. And this is what they plan to build. 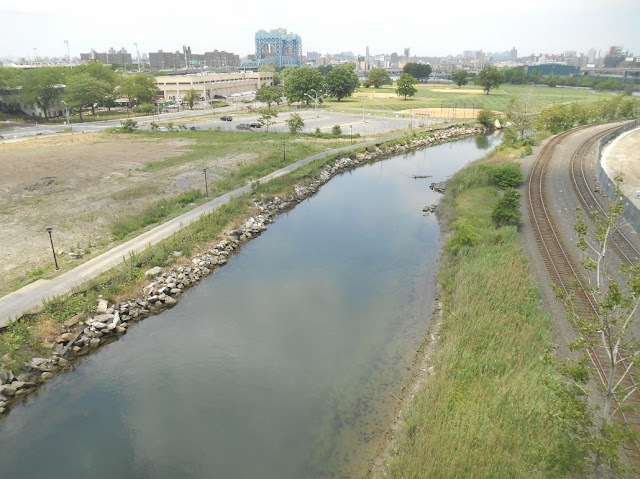 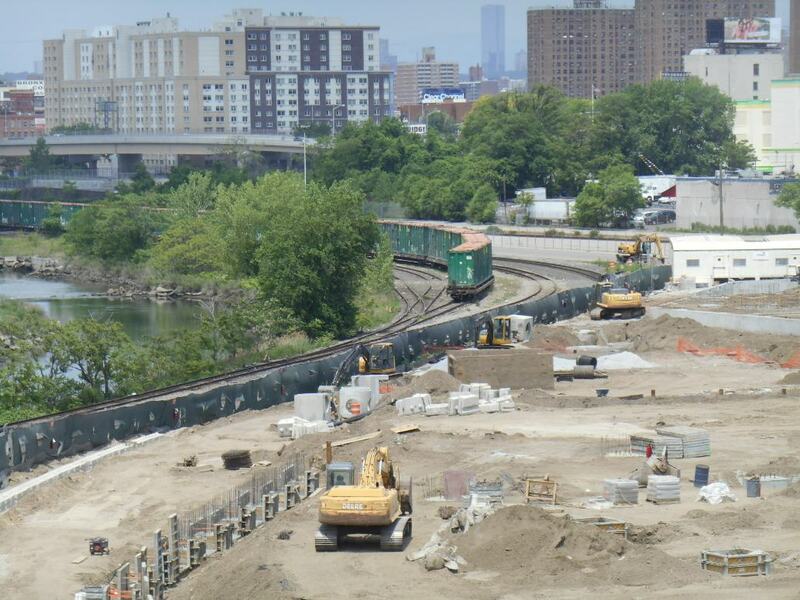 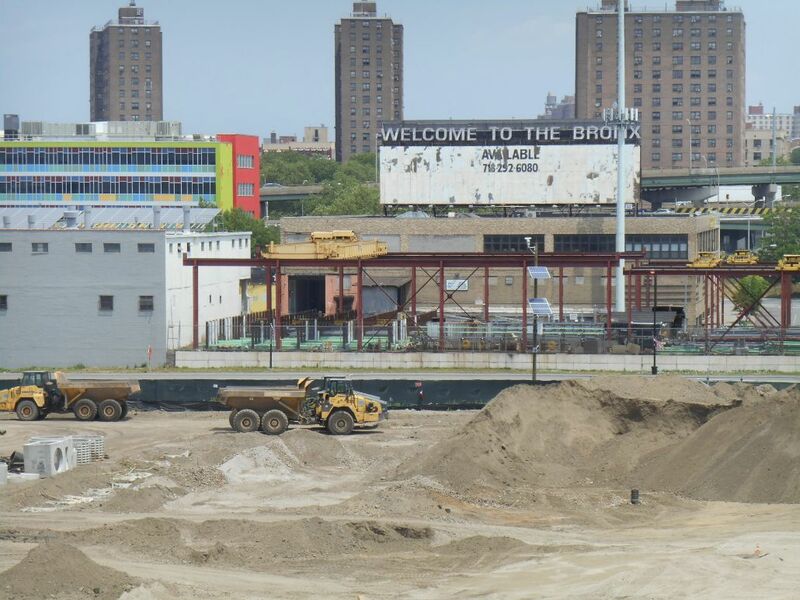 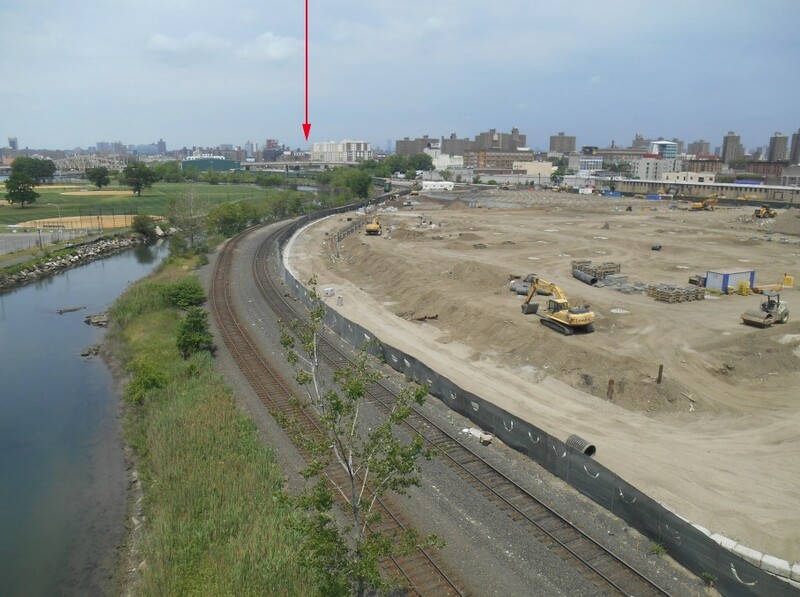 Soon we’ll have CSX Waste Management trains to the south and FreshDirect trucks along Bruckner Blvd. 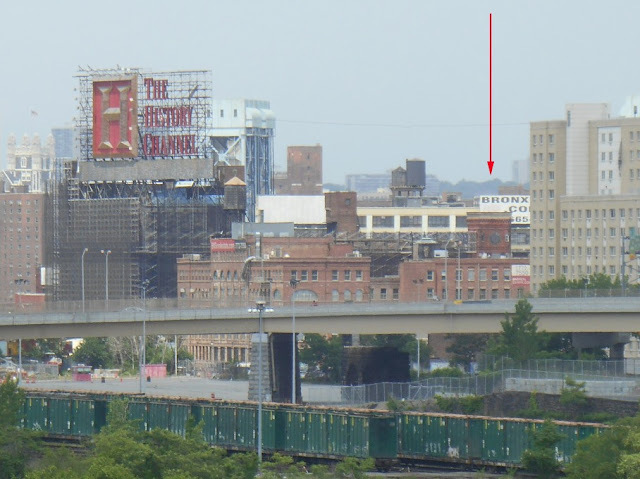 to the bridge. 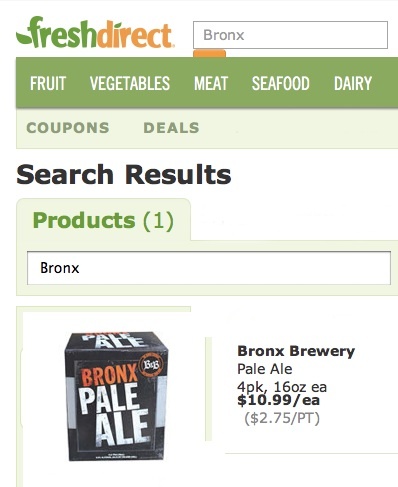 Bronx Pale Ale is the first hit.